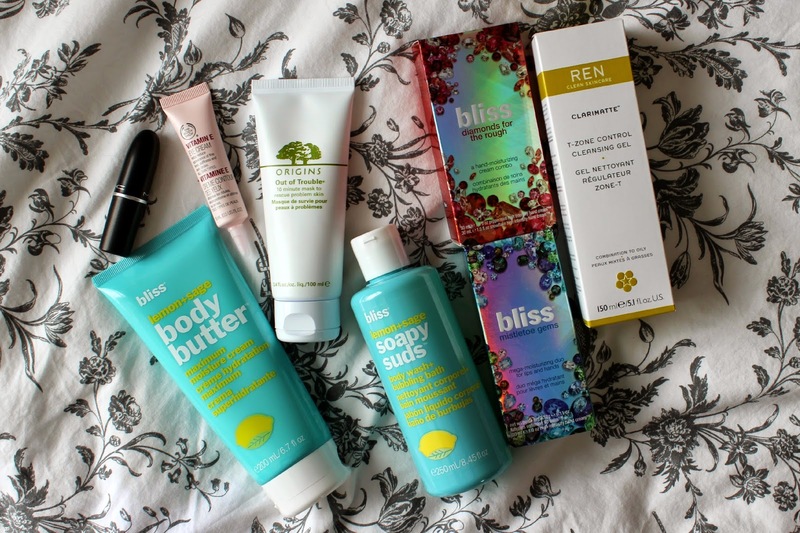 Home / haul / skincare / "Everything has it's beauty but not everyone sees it"
"Everything has it's beauty but not everyone sees it"
Two hauls in two posts? Opps, I guess I've been a bit naughty. 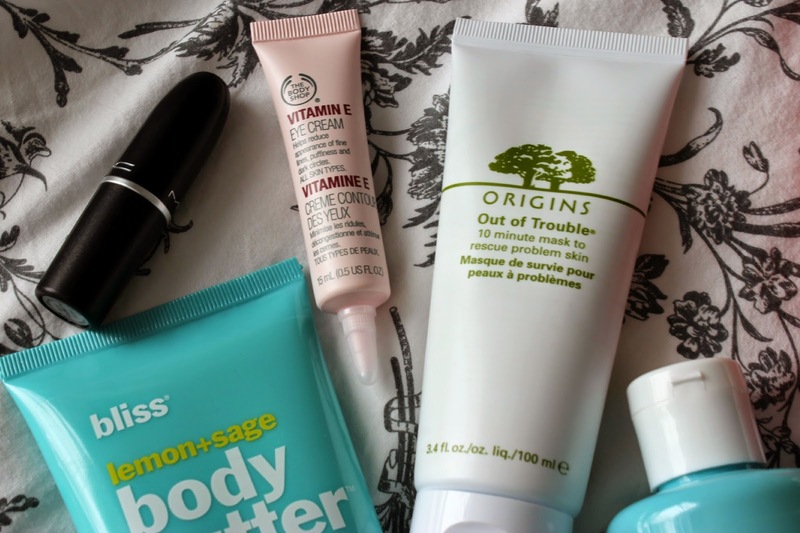 This time, I'm featuring the skincare bits that I've purchased over the last month or so (and a lipstick that didn't make the cut for the makeup haul post). My acne has been on-and-off for the last few months. I wouldn't say it's cystic level anymore, but it definitely hasn't cleared up (it had been doing much better pre-flu, and I've been working for the last week to get things back to normal). 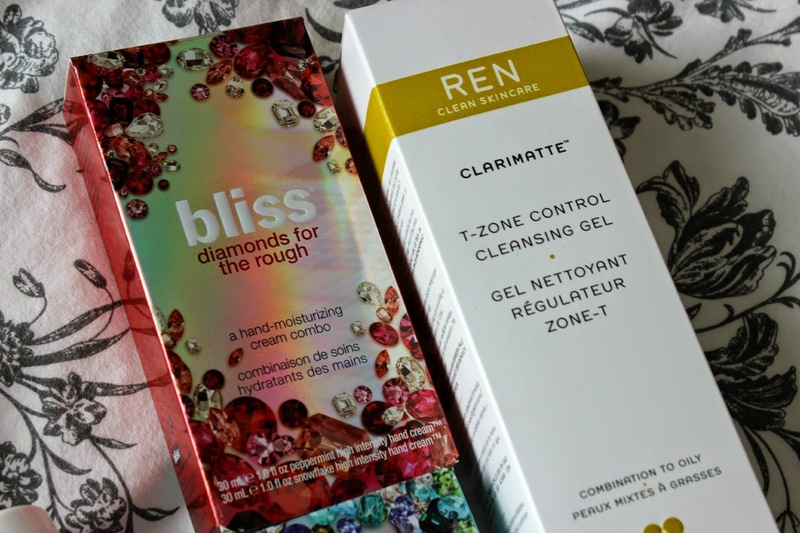 I've found that this Ren T-Zone Control Cleansing Gel has worked really well at clearing up my complexion, in combination with my Kiehls toner and Juice Beauty Acne serum. My only complaint is that you go through this product very quickly, especially if you use it morning and night, and it doesn't have the cheapest price tag. In line with clearing up my acne is the Origins Out of Trouble 10 minute mask. Honestly? This isn't the best mask I've ever tried. I don't find that it works amazingly, which is something that I really look for. It's pretty good at clearing up small bumps and red patches, but does nothing for the large spots. Next is The Body Shop Vitamin E Eye Cream. I'm always squinting (I hate wearing my glasses when I'm at home, but I'm completely blind without them, and I have an aversion to sunglasses for some reason). And seeing as the skin around your eyes is the thinnest on your body, I thought I should start treating it now before problems start occurring. This product is really soothing, and I find that my concealer has been creasing a lot less the next morning. I'm a huge fan of everything from the Bliss line. I had a gift card for the Shopping Channel, and picked up a bunch of stuff. I love using the Soapy Suds in combo with my luffa in the shower, when I don't necessarily want to use a harder exfoliant, but want to get the job done. I use the Body Butter right after I shower all over my arms and legs, and they stay so soft all day--bonus, it helps mitigate the little bumps I get from razor burn (#sensitiveskinproblems). Lastly are the two hand cream sets that were on for an amazing promotion. This is the best hand cream I've ever used hands down (pun intended), and it was the only thing that actually cleared up my eczema this winter. Finally, snuck in there is the Mac lustre finish lipstick in Lustering. I'm 100% obsessed. It's the perfect rosy shade for the spring, and I've been wearing it non-stop. 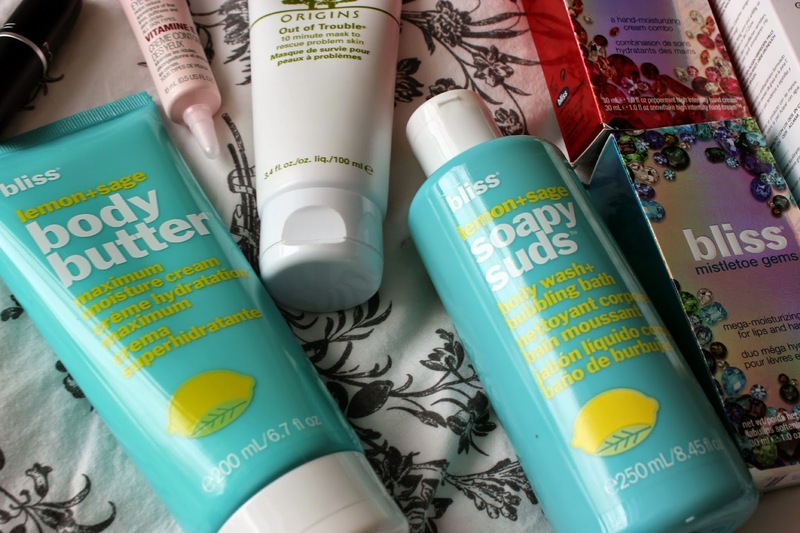 What skin care bits have you been trying out lately?